The official Android 9.0 (Pie) beta ROM for the Galaxy Note 9 is now available. Not only does this software contain the latest OS update, it also replaces Experience with One UI, the revamped interface for Samsung mobile devices. So far, this beta is available in certain countries. Earlier reports tell us that a number of Samsung flagships, the Note 9 included, will not see an official upgrade to Android Pie (9.0) until the new year. However, it now seems that some owners of this phone who are particularly impatient, techy or both can access an early version of this update right now. This may involve enrolling in the Samsung Beta Program in order to download a version of Pie for the phablet. The new beta also includes the Korean company's new skin for Android, One UI. One UI is an interface that brings a lot of changes and tweaks to how Samsung device owners will use and interact with their phones. This includes many features lacking on phones from this OEM for some time, including Night Mode and reduced bloat. The latest beta for the Note 9 also includes a security patch upgrade to the level of November 1, 2018. However, there are some caveats to what may be good news for some Samsung fans. 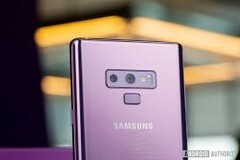 To date, the One UI beta has been confirmed to be available to Note 9 users located in the United States, Germany and India. Interested customers in these regions can register for the beta program through the Samsung Members app. It should be noted and accepted prior to downloading that the ROM has the known bug of the loss of functionality in banking apps verified by biometrics such as scanned fingerprints.